One thing that I think we can all relate to as men and women is our struggle with hair! It is often perceived that hair is a women’s best accessory – I think we are in a time when and where men feel the same way! The struggle is always connected to ‘how we should style it’ on a daily basis and what we can do to get our hair more healthy – so that anything we do to it actually still keeps it looking nice and silky! My hair has recently been struggling a bit because I bleached it for more than a year and no matter how well you take care of your hair…manage treatments and cuts…it still ends up causing quite a bit of damage. As a result, I am always looking for new treatment options, always looking to try new conditioners and shampoos, as well as looking into a few natural options as well – i.e. 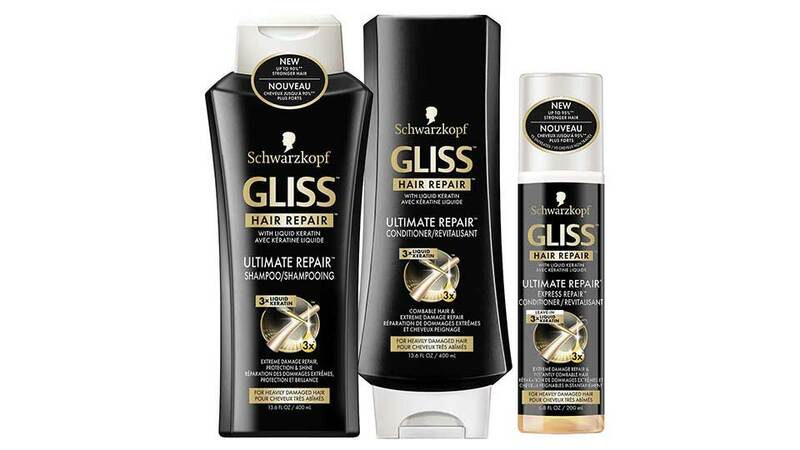 coconut oil or olive oil….and then I received the Gliss Ultimate Hair Repair system and thought – why not try this pack? I have to admit that I am a fan of the scent for sure and the way that it feels in my hair! The experience overall is pretty enjoyable! My hair felt pretty nice and silky after, but I still have try and pay attention to how much I damage it with straighteners and other hot tools. Available in Canada at Shoppers Drug Mart.